1. Cleansing twice a day is still the most important part of your skin care regimen. Choose a pH balanced cleanser and use it in the morning and before bedtime to keep the subtle ‘moisture barrier’ of the skin intact and maintain its shielding as well as rekindling activities uninterruptedly. 2. Skip your daytime exfoliation. Rather, do it at night before sleeping. It will improve the functions of your skin and the process of restoration will get accelerated during the night. 3. Pick an exfoliator that is gentle to your skin. If it steals moisture from the skin leaving that dehydrated, the enzymes required for eliminating dead skin cells would not work properly. 4. Be it summer or winter, make sunblock a staple in your skincare routine. Protection from the broad spectrum (both UVA and UVB) of the sun is extremely necessary to combat aging successfully. 5. In your 30s, you need a bit more than regular sun protection. So, blend an antioxidant cream or serum with your sunscreen while going out during the daytime. 6. Moisturizing your skin is vital. Go for a good moisturizer that can provide enough moisture to your dry and rough skin. 7. Make sure that you use a rich body cream at least twice ever day in order to keep your skin well-hydrated, healthy and glowing. 8. While choosing an eye cream for protecting your delicate under eye areas, skip those containing petroleum or any sorts of mineral oil. 9. 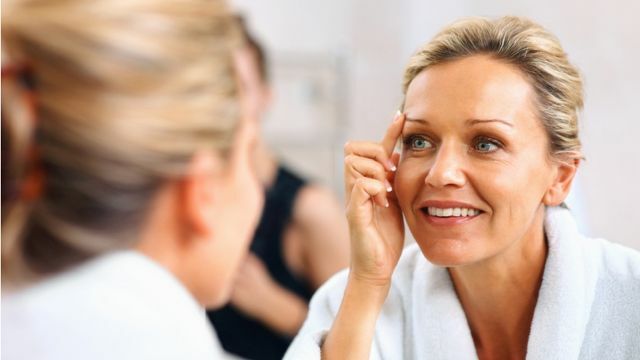 Give your skin cells a vitamin A-boost by using an OTC retinol or a topical retinoid cream regularly before bedtime. 10. Keep yourself hydrated internally by drinking 8 to 10 glasses of water per day. It would help a lot in maintaining the good health of your skin. To detoxify your body, kick start your day with a glass of water mixed with some fresh lemon juice. 11. Follow a well-balanced diet that is high in dietary fibers, proteins and healthy fats. It is essential for repairing as well as maintenance of your skin. 12. Avoid smoking and drinking completely. Cigarette and alcohol are two biggest enemies of your skin, especially when you are in your 30s. 13. Sleep well. It has been proved that a sound night’s sleep of 7 to 8 hours can help extensively in the rejuvenation of our skin cells. 14. While taking a shower, make sure that you use only lukewarm water as too hot or too cold water can damage the cells to a large extent. It is advised that you opt for a moisturizing body wash for this purpose. 15. 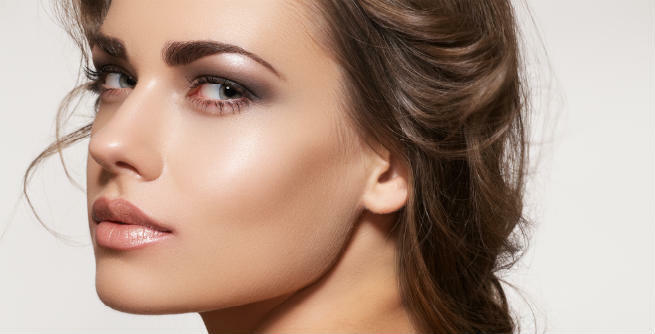 Find right foundation for your skin. A liquid one with a powder finish is always the best as it would not end up making your skin drier. 16. Use the concealer over your foundation, not underneath it. It will help you make the most of both items. 17. Use lip products strategically. Apply a shimmery highlight on the middle of your lower lip as well as the Cupid’s bow to give an illusion of fuller, juicier lips. 18. Go for microdermabrasion. It would help you get rid of the damages caused to your skin by the sunrays. 19. If brown spots, age spots, broken capillaries, etc. 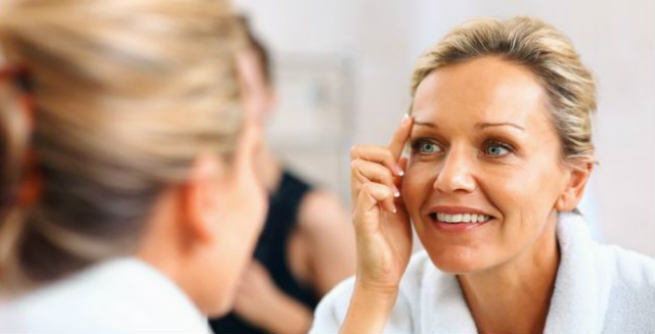 are your concern, undergoing the Intense Pulsed Light Therapy would be highly effective. 20. Do not let all your skincare, lifestyle and makeup efforts go wasted. Maintain a clean, refreshed and beautiful skin by going through a facial each month.